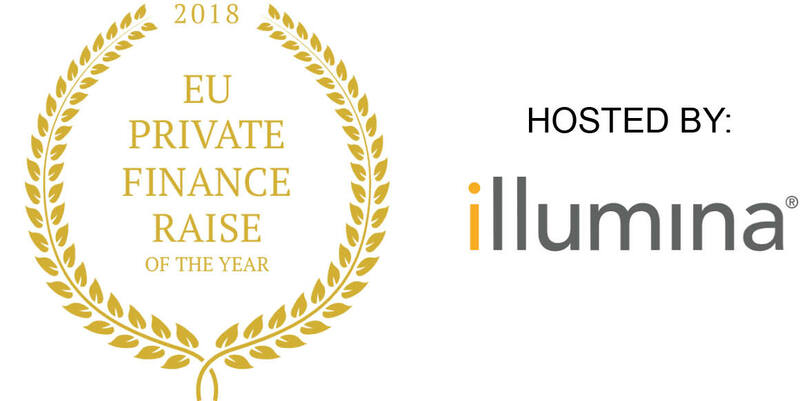 This award recognises a company that has successfully completed a significant, impactful or transformational private fundraise >£30m, between 1 September 2017 and 1 September 2018. 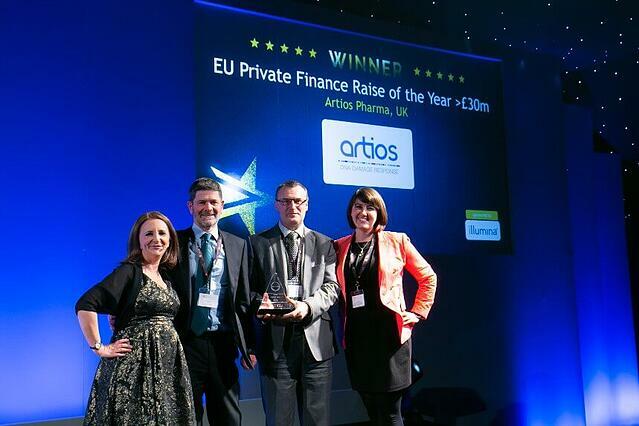 Artios Pharma Ltd was established in May 2016 to develop a next generation DNA Damage Response (DDR) target pipeline with the potential to transform cancer therapy. Cancers change their DDR pathways to allow mutations in their DNA so that they can evolve and adapt. This is what causes cancers to overcome many current therapies. Targeting the remaining DDR pathways has been proven to selectively kill cancer cells through a concept known as ‘synthetic lethality’. This has been demonstrated with the recent success of PARP inhibitors such as Lynparza™ (olaparib; AstraZeneca) in treating a number of cancer types. DDR targeted products have the potential to be used in combination with other cancer agents to help prevent cancers from reoccuring. Artios has in-licensed its lead DDR programme, PolƟ, from Cancer Research UK (CRUK) and continues to work with CRUK and other experts in the field to build its pipeline of novel DDR programmes.